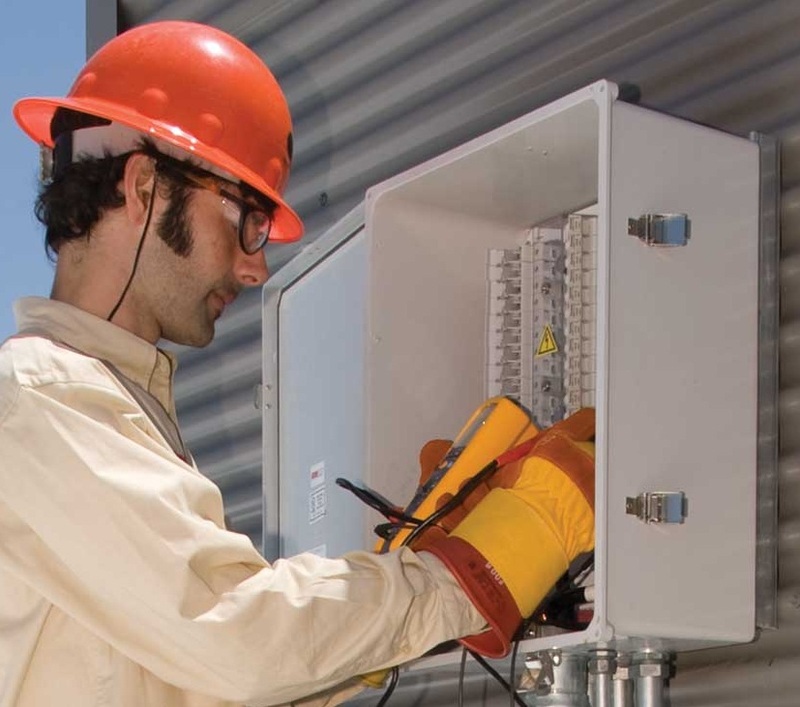 Electrical safety equipments are type of personal protective equipments (PPE) that protects the user from electric shocks, ARC hazards and electric blasts. ARC flashes are the most common electrical hazard. Electric foot wears, insulated tools and clothing are available by the vendors which have self-extinguishing properties. Electrical protective equipments are majorly used in the power, manufacturing, construction and oil & gas industries for the protection of workers and engineers. Insulated gears, protective apparels and the respiratory protection equipments are the segments with major revenue share in the market. North-America is the major market for the personal protective equipment market. Asia-Pacific and Middle-East are the dominating markets owing to growing construction activities in the region, which shows the significant growth in global electrical protective equipment market. Awareness regarding the personal health and safety measures at the workplace is also a major growth factor for the global electric protective equipment market. Rising demand for electricity power in the developing countries and ongoing major projects in countries such as China and India to meet future demand has significantly bolster the demand for electrical protective equipment market. Rising population and urbanization significantly raised the construction and industrial activities in developing countries which significantly raised the need for huge workforce and their safety equipments. Asia-Pacific construction industry was estimated USD 1.5 trillion in year 2015, which is expected to expand at a CAGR of 3.8% over the forecast period i.e. 2016-2024. Rising awareness for the workers safety and accidents at the workplace paved the way for the large adoption of the personal protective equipments. For instance, in developed countries such as USA and Europe there are stringent rules and laws for the occupational health and safety implemented by the organizational safety and health administration (OSHA), which mandates the use of protective equipments for the workers working nearby arc and flames. Such regulations and stringent policies are expected to drive the growth of global electrical protective equipment market. However, decreasing workforce in mining and Oil & Gas sectors has adversely impacted the demands for protective gears. On the other hand, the automation of manufacturing industries also reduces the workforce needed hence cut-off the protective gears need. Global personal protective equipment market accounted for USD 35.4 billion in 2016 in which electrical protective equipments accounted for 40% market share and worth more than USD 14.6 billion. Further the electrical protective equipment market expected to expand at a CAGR of 3.4% over the forecast period i.e. 2016-2024 and the market is projected to reach USD 19.3 billion by 2024. Geographically, North America region dominates the global electrical protective equipment market and expected to dominate the market over the forecast period owing to presence of stringent regulation for the safety workforce working in hazardous environment. North America is closely followed by the Europe with more than 25% revenue share in global electrical equipment market. Asia Pacific region is the fastest growing region owing to growing construction activities and labor intense work in manufacturing industries. China and India accounted for the major market for the electrical protective equipments in the region.